What is Google+? Is it a Facebook and Twitter killer? Here’s an overview. Want an invite? Have you heard of Google+? You can find it here: http://plus.google.com. It’s Google’s version of Facebook and Twitter, combined into one, and it’s actually pretty cool. It allows you to share photos, videos, have unlimited text in your status updates, and other features that are similar to Facebook and Twitter (sans the unlimited text in the status updates). One really cool feature G+ has that Facebook and Twitter do not is called “Hangouts.” This is where you can have a group video conference call of up to 10 people! That’s pretty sweet. And a buddy of mine said the quality is great. Facebook has rolled out video calling via Skype, although it does not support group chat yet. So G+ definitely has 1 up, or should I say 10 up, on Facebook on this one! Circles allows you to put people you know in certain groups. So you can have your family in one Circle, your co-workers in another Circle, your business contacts in another Circle, your clients in another Circle, and maybe people you’re “following” (a la Twitter) in another Circle (more on the “following” concept later). This allows you to group your contacts, which is very helpful, as you’ll see. For example, clicking your family Circle allows you to only view the status updates of people in your family. Likewise, if you want to check out what your co-workers are talking about, you can click on your co-workers circle. G+ also allows you to do another cool thing, which you can’t really do in Facebook. You can, but it is a bit clunky, and you have to go through a lot more hoops to share your content with groups of people, especially in the initial setup of it. In Google+, you can easily share your status updates, which includes photos, videos, links, etc., with just certain Circles of yours, or with just one Circle, or with just one person, or with just certain people. So if you have pictures from your family outing that you only want your family to see, then simply opt to only share it with your family Circle. That’s yet another feature which Facebook definitely needs to make easier to use if they want to be able to compete with G+. CAN I SHARE MY CONTENT WITH EVERYONE, EVEN THOSE NOT IN MY CIRCLES? Google definitely nailed it with Circles. There is also a feature called “Sparks.” This is where you can create streams of news articles, videos, pictures, etc., that are being shared on the Internet and organize them by topic. So if you want to see all of the news that’s being shared a lot related to the upcoming iPhone 5, you can do that. And if you want to see all of the news that’s being shared related to raw food recipes, you can do that as well. It’s a great way to sift through information overload, because the articles, videos, and blog posts that are being shared by many many people are obviously of high quality. Google+ now has an app for both Android phones and the iPhone. They both have the following features: Stream (it’s like your homepage on Facebook where you see all of the postings of whatever Circle you’ve selected, or you can select to see them all), Huddle, Photos, Profile, Circles. The only difference right now between the Android App and the iPhone app is the Android app has the INSTANT UPLOAD feature (see below). Both are great apps and work very well. Very stable so far, as expected from Google. This is a feature specifically for Android smart phones at the moment. There is an iPhone app for G+ now, however, it does not have this feature. Instant Upload allows you to upload every picture and video you take with your Android smart phone to a private photo album in your G+ account. This way, all you have to do is decide who to share it with once it’s uploaded. It takes the hassle of syncing your phone with your computer to get the photos and videos from your phone on to your computer, then uploading them from your computer to the Internet…out of the equation. This feature does all of that for you automatically. Huddle is a cool way to be able to group text with your friends (or group instant message if you prefer that term). In Huddle, which is a feature in both the Android and iPhone G+ app, you can all text in the same conversation so everyone in the group can see everyone else’s texts. It’s great for organizing a night out on the town, or for setting up a mastermind meeting. Here’s a BIG reason to join G+ if you have a website. First, you’ll need to add the Google +1 Button to your website. Then, every time you share a link to a blog post that you made, or a new web page that you created, you can share it on G+ and get some more +1 love from your friends, colleagues and followers. On G+, it’s as easy to +1 a link as it is to “Like” a link on Facebook. This will help increase the ranking of your website in Google, which will push it higher up in the search results. And if things go the way the industry says it’s going to go (they’re saying that Google is going to place a lot more weight on the number of +1’s a page/website has in determining the page rank), then this is going to be a HUGE game changer, especially if you have 100,000 people “following” you on G+ whom you’re sharing your website links to, which is a great lead-in to my last topic on G+. And if you want a more indepth look at the +1 button. Check out the video below. I watched the first five minutes, and it definitely seems like a worth while watch if you really want a good understanding of what the +1 button is, and what it can do for your website. Plus it only has 1 dislike (probably from a Facebook fan), so it must be good. WHAT DO YOU MEAN PEOPLE CAN “FOLLOW” ME ON GOOGLE+? This is where Google+ acts like Twitter. Yes, people can follow your posts just like they can on Twitter, and you don’t have to approve them for them to be able to follow you. They can just follow you (you can block them if you want, though). They can put you in any of their Circles that they wish. They can even put you in more than one Circle (Friends Circle and Business Circle, for example). The thing that is different from Twitter is that when someone follows you, their posts are put into a stream of yours called “Incoming.” So if you want to see the posts of people who are following you, all you have to do is click on your “Incoming” stream and voila! You get to see what your followers are up to. So now that you have a pretty good idea what Google+ is about, do you want an invite so you can check it out? With products like Google+, you can only do so much research before you realize that you actually have to experience it to really know it. So if you want an invite so you can experience Google+, send me an email with “Google+ Invite Request” in the subject line, and I’ll send one right over to you. Please note that I can only send out a certain amount per day. So if you don’t get an invite on the same day, be patient. I will get to you within a few days after you request it. 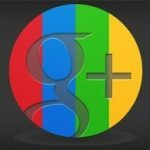 Have any comments, opinions or experiences with Google+? Think it’s a Facebook or Twitter killer? Leave a comment below and tell me what you think!